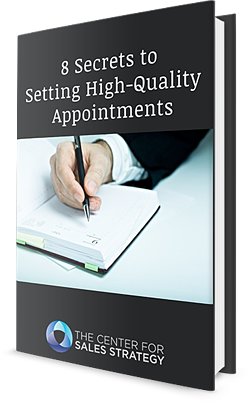 Why is it harder to schedule quality appointments? The average seller is often going on only 1-3 quality appointments per week. Imagine what could happen if every seller went on five to seven quality calls per week. Sound too good to be true? We assure you it’s not! Download the free ebook and learn how to triple the number of sales appointments per salesperson.